Adaptation is defined by the Intergovernmental Panel on Climate Change as ‘the process of adjustment to actual or expected climate and its effects’. Because international efforts to limit greenhouse gas emissions are insufficient to avoid the risk of impacts arising from climate change, adaptation will be necessary. 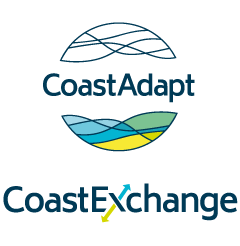 Coastal managers in the public and private sectors, including infrastructure providers, have responsibilities for adaptation to climate change and sea-level rise. Barriers and limits to adaptation constrain the capacity and ability of decision-makers to take action. Effective adaptation draws expertise from many different disciplines, and so organisations are very likely to use external consultancies at some or all stages in the process. Here we provide guidance on making the best use of consultancy services. Differences in planning laws and policy in different states and territories impact on how councils can plan for climate change. Decision makers can build multiple options and flexibility into their adaptation plans by using a pathways approach. To demonstrate how a pathways approach may be used in adaptation decision-making, we present a hypothetical worked example about coastal protection. Transformation involves deep structural changes in social-ecological systems to avoid climate change impacts, and is distinct from adaptation that involves incremental changes to accommodate climate change.